Around the world, laser therapy is rapidly becoming the choice for patients, non-invasive, and drug free treatment for a wide variety of injuries, pain syndromes, neurological conditions, and pathologies. It can heal wounds and fractures up to 60% faster and reduce the cost of treatment for many conditions. In the UK it has become the treatment of choice for whiplash injuries and shingles. 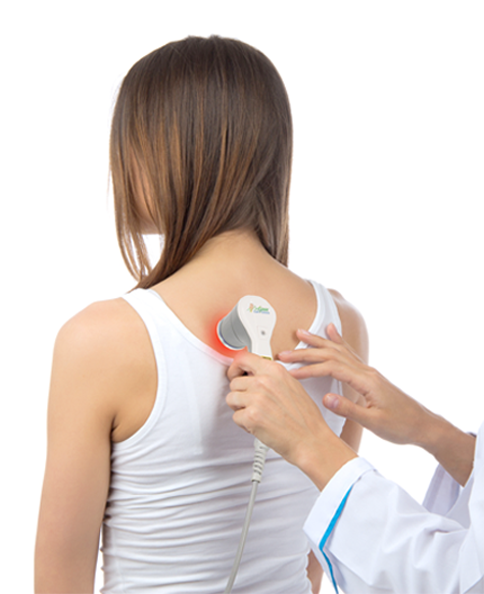 Laser Therapy send accurately measured, non-thermal photons of light to the appropriate treatment site. These light waves supply energy to the body as they penetrate up to 4 inches of the skin’s layers, optimizing the immune responses of the blood. This has anti-inflammatory and immunostimulate effects, supplying vital oxygen and energy to every cell. This enables the cells to heal and repair themselves at a greatly accelerated rate. Low-level therapy is very safe. It is FDA approved and has been used for over 20 years internationally. Extensive documentation and studies have shown it to be effective and safe. Your clinician will thoroughly examine your records, evaluate your condition, and design a treatment program if laser therapy is appropriate for you. For most people, laser therapy is quite passive. 3 to 5% have reported slight tingling or tapping in a nerve or nerve pathways. Some people feel slight sensation of warmth. 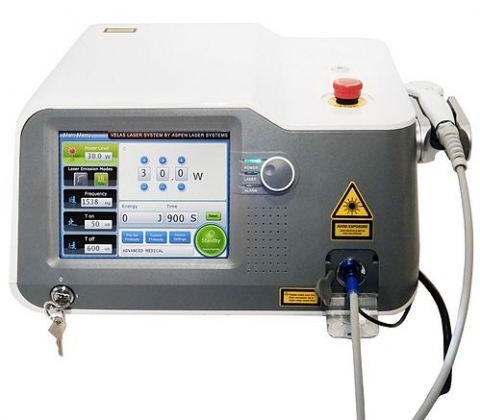 The most notable sensation is the probe head of the laser as it comes in contact with the skin. The majority of patients, however, feel nothing during treatment. Laser therapy encourages healing without causing damage. A treatment can take 2 to 30 minutes. Many factors, such as the severity and depth of the condition, will determine the duration of treatment and the number of visits needed to provide the maximum amount of relief. Following a laser therapy session, approximately 75 to 80% of patients notice an immediate improvement in their condition. Some patients, however, need 3 to 4 sessions before noticing improvement in their condition. It is important to follow the clinicians recommended course of treatment. The majority of patients need 4-5 treatments while others might need 10 to 18 treatments. Will Laser treatment Provide me with Long-Lasting Results? Laser therapy sessions speed up the healing process in the cells that can help create a stronger and longer lasting effect. Dr. Scharf is committed to providing you the best care possible. The more you adhere to your treatment plan, the better and longer lasting results will be. Many patients conditions are permanently resolved after completing their treatment plans. We have had great results with patient that had post surgery, knee pain, fractures and plantar fasciitis. We have also help patients with lateral epicondylitis (Tennis Elbow), forearm and shoulder pain.